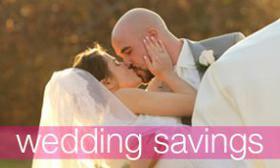 Looking for a fun way to personalize your wedding décor? Why not make the most of your new name! Your brand new monogram can easily make its way into your special day without much effort at all. Here the Canoe Club Ballroom, we have seen this timeless trend over and over and we love it! 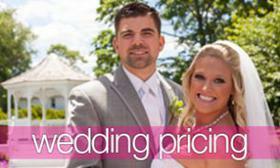 We have gathered our favorite ways to incorporate your new name throughout your special day with us! An isle runner with your future monogram is a romantic way to personalize your ceremony. Also, a ceremony entrance is a perfect place to show off your new initials. You can also personalize your wedding bouquet, finish the bouquet with silk ribbons with your new monogram on them. 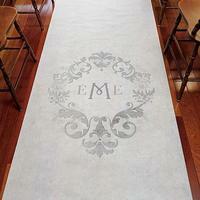 For the cocktail hour and reception, there are great ways to add your monogram here and there. We love the idea have personalized cocktail stirrers. Try adding an elegant monogram to your cocktail napkins for your guest to use throughout the night. A traditional cake with your new initials are a perfect cake topper! As for a fun favor idea, we love the idea of having cute koozies with your new family crest on it, that your guests can treasure forever! 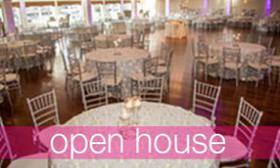 Don't Forget to Contact the Canoe Club Ballroom for Tour & Bridal Appointment!